Freight rates for very large crude carriers (VLCCs), which have fallen to their lowest level in 10 months, are set to slide further next week as the volume of available tonnage outpaces cargo demand. "I don't think we've seen the bottom yet even if rates may have stabilised," said a Singapore-based supertanker broker on Friday. "The tonnage list is still building," the broker added. Around 90 VLCCs are expected to be available for charter compared with just 40 Middle East cargoes that are expected to be fixed for loading between Aug. 21-Sept 10, according to a second Singapore-based VLCC broker. "The market is pretty horrible. West Africa is also coming off," the second broker said. Around 105 fixtures from the Middle East are forecast for August compared with 127 in July and 134 in June, the second broker said. "August was quiet. Refiner's margins have fallen so they are taking the opportunity to close refineries for early maintenance," the first broker said. While rates have fallen, VLCC rates from the Middle East and West Africa have held above 40 on the Worldscale measure since Oct. 2014, the longest period they have been above W40 since June 2012. Earnings for vessels trading on the spot market remain resilient due to lower bunker prices which fell to six-year lows this week, the first broker said. Average charter earnings were $40,000 per day last Friday, against $27,315 per day in 2014, but bunker prices have more than halved to around $270 per tonne compared with an average of around $570 per tonne last year, according to British shipping services firm Clarkson. Owners trading their ships on the spot market pay for their own fuel, while charterers pay for fuel on voyage and period time charters, the second broker said. VLCC rates for the benchmark route from the Middle East to Japan dropped to W40.25 on Thursday, from around W46.25 a week ago, and the lowest since Oct. 1. Supertanker rates from West Africa to China dropped to around W47.75 on Thursday, against close to W51.5 last week, and the lowest since Oct. 7. Rates for an 80,000-dwt Aframax tanker from Southeast Asia to East Coast Australia dropped to around W95 on Thursday, compared with W96 a week earlier, the lowest since Oct. 29 on lower cargo volumes. 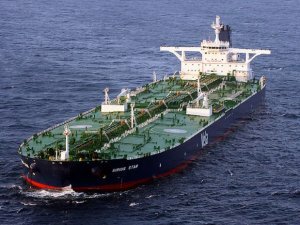 Clean tanker rates from Singapore to Japan were at W169.5 on Thursday, up from near W167.75 last week, on tight tonnage supply, a Singapore clean tanker broker said on Friday.